This gold plated belly button piercing carries a nice and big Opal stone of 6 mm in size. This stone is also thick making it well visible. A minimalistic design is bringing all the attention to the opal stone. 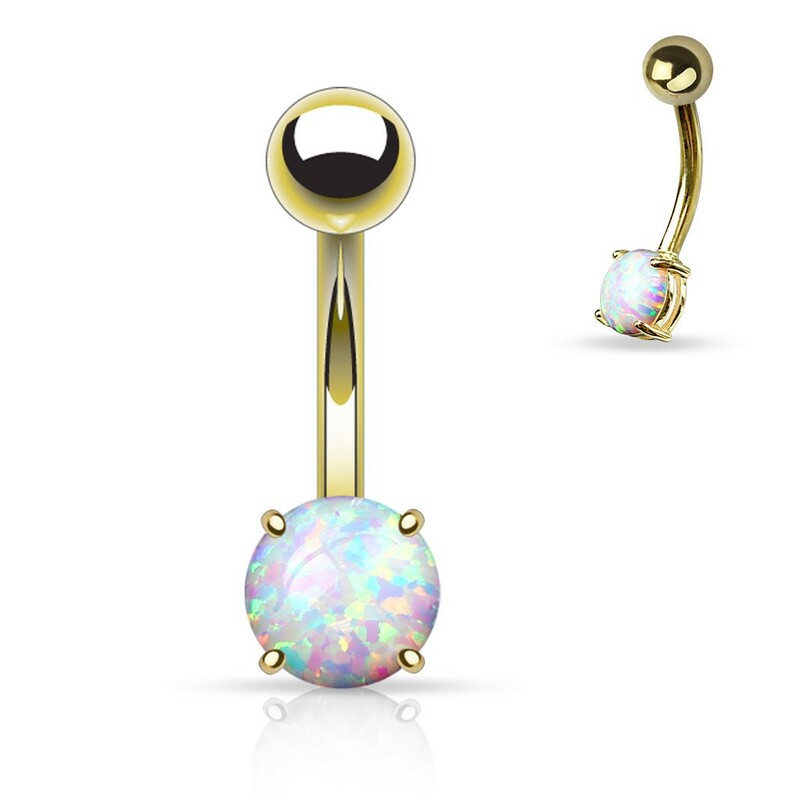 Order the rose gold belly bar with opal stone or go for the yellow gold version instead. Both are made of the base material 316L surgical steel, which contains a smal amount of nickel. Keep this navel jewellery away from water to avoid discolouring of the gold plating.